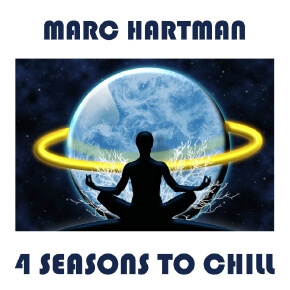 Lemongrassmusic present the 4th longplayer album by Dutch musician and producer Marc Hartman: 4 Seasons To Chill. The new work of this outstanding Dutch musician and producer is a true Chillout album and takes us on a musical journey through the year – the emerging and passing away of nature, the eternal cycles of evolving life and decay. Like on his earlier albums Marc Hartman has created a natural Chillout soundscape with a lot of real instruments and organic vibes, catchy grooves and a few well placed vocals.